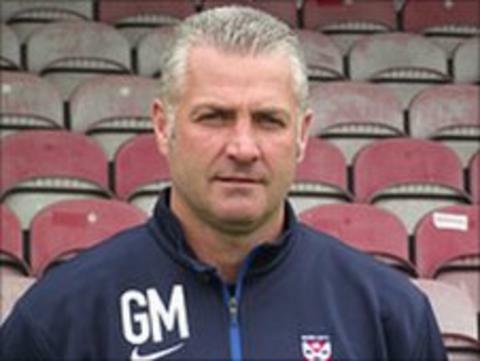 York City manager Gary Mills has almost decided on his team line-up for their opening game of the season. City start their Blue Square Bet Premier campaign on 13 August at Ebbsfleet United. Mills told BBC Radio York: "I'm very close. The players are looking sharp and looking good. "We're not a massive squad but I've got two or three dilemmas at this moment as we speak who would be in my starting 11 if we were to start tomorrow." He added: "I've got two or three dilemmas, that's what I like. "We've got three more games, two more weeks of training and the players that are not in my mind at the moment that are going to start in the 11 have got two weeks to put that right." Mills hinted he could play something like the line up in his mind in the friendly against Hartlepool on Saturday. "With two weeks to go and three games to play, the 11 that I'm possibly thinking has got to start playing together and get used to each other over the three games with a view to starting at Ebbsfleet on 13 August."